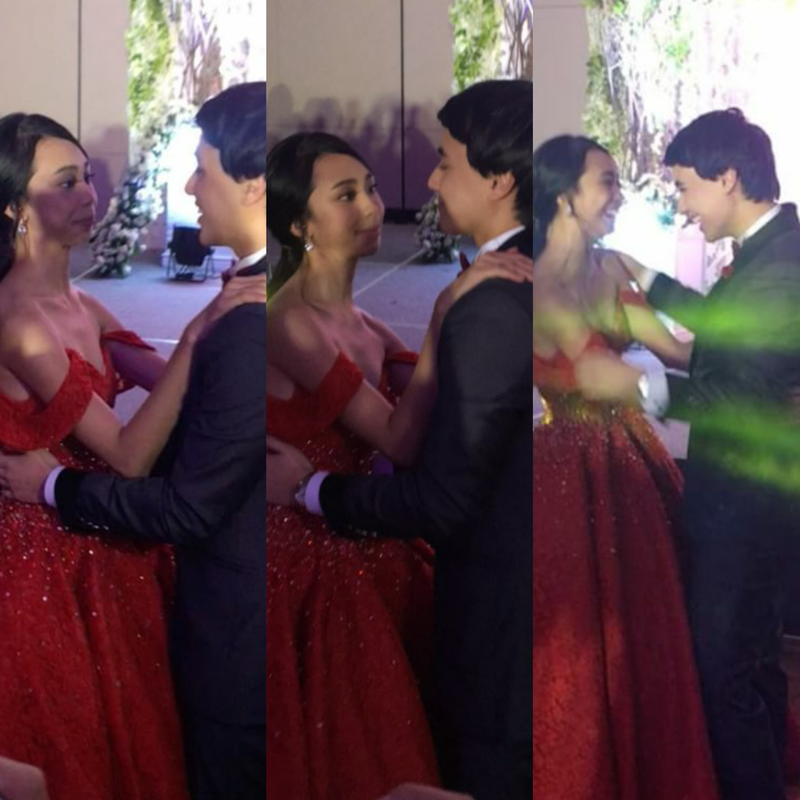 Maymay Entrata couldn't hide her overflowing joy and "kilig" feeling when she shared a sweet dance with fellow Pinoy Big Brother ex-housemate and loveteam partner Edward Barber during her 20th birthday party (which as of this moment is still ongoing at the Conrad Manila Hotel in Pasay City). Look at Maymay's cute facial expression in this photo from Elisse Joson! 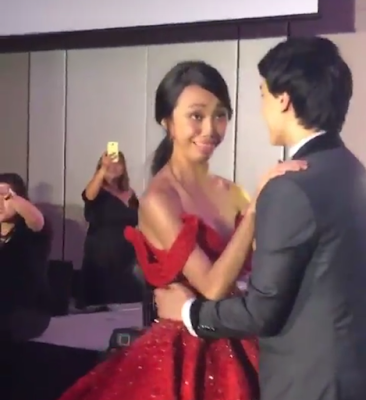 That's the same as when she danced with her crushie Enrique Gil while she was still inside the PBB house. 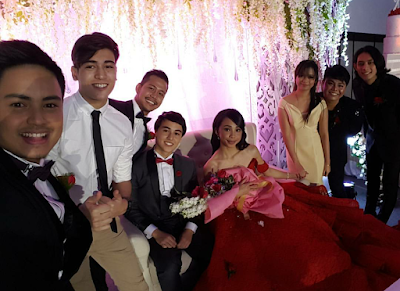 It was a surprise birthday bash organized by the fans for Maymay, who wore a beautiful red gown from Daniel Manila. They looked like they're madly in love, don't they? Just like Kisses Delavin's Debut Party last week, most of the celebs present were Maymay's co-housemates on PBB. 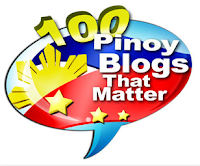 Other than Elisse and Luis, also spotted were Marco Gallo, Jesi Corcuera, McCoy De Leon, Jerome Alacre and Jinri Park.